Here is Karen’s first ball of handspun wool. It’s certainly a lot neater than my first try. 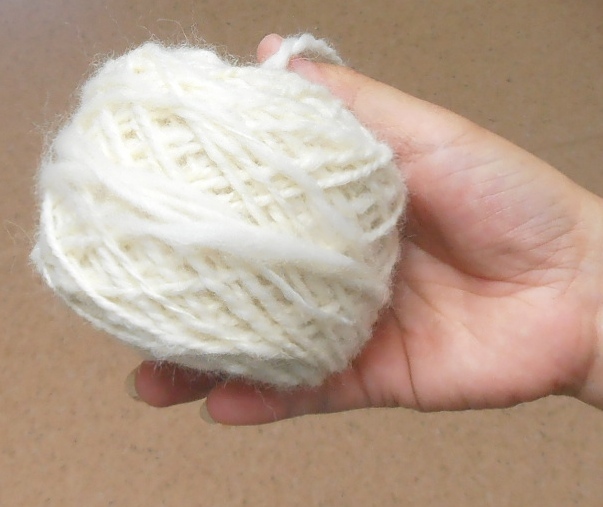 Karen spun and then plied the wool, and then used the ball winder to make this pretty ball. Now Karen is going to knit a scarf to show it off. She just learned how to knit as well so we can’t wait to see the finished product. Well done, Karen.